Following the release of his new album Professor Satchafunkilus And The Musterion Of Rock on April 1st, Joe Satriani will embark on an 11-city Guitar Center Sessions clinic tour. Dates and locations are below. The clinics will feature question-and-answer segments, autograph signings, and live performances by Satriani. 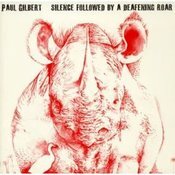 Kudo's to Laurie at Truth In Shredding for spotting this: Paul Gilbert's new album Silence Followed by a Deafening Roar was released in Japan on January 23rd (look for my review soon). Mascot Records will release the album in Europe on March 31st. Shrapnel Records will release the album in the US on April 8th. Mascot is currently offering the track "Bultaco Saturno" as a free MP3 download through their site (here is a direct link to the file). I highly recommend downloading this song; it's one of my favorite tracks on the album. Some great footage of guitarist Alex Machacek's gig at the Baked Potato on Jan 25th, 2008. With Marco Minnemann on drums, and Kai Eckhardt on bass. I had the pleasure of interviewing Prashant Aswani at the NAMM show this past January. 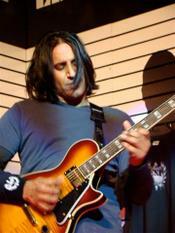 Prashant and I discussed the new Xtone series guitars from ESP, his upcoming album, and more. This exclusive interview has now been published at Modern Guitars Magazine. Enjoy! 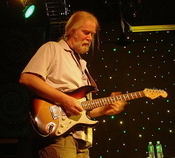 Guitarist Jimmy Herring (WSP, ARU, Project Z) will be releasing a solo album on Abstract Logix this fall. Joining Herring on this release will be Jeff Sipe on drums, Oteil Burbridge on bass, Kofi Burbridge on keyboards and Greg Osby on saxophone. Not sure if Derek Trucks will be involved as I originally heard back in December. Either way this should be an incredible album. 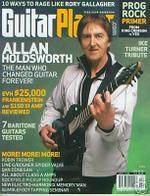 The April 2008 issue of Guitar Player magazine has an excellent cover story on Allan Holdsworth. Complete with an extensive interview and comments from other top players, it may be the best Holdsworth article I've ever seen in print. Highly recommended! UPDATE: An extended version of this interview is now available online. I normally don't post this many videos, but there's some good stuff popping up on YouTube lately. Here's some more excellent footage of Alex Machacek from his recent workshop in Mexico. This is the song "Austin Powers" with Hernan Hecht (drums), and "Chumino" Guardado (bass). This is Paul Gilbert at Better Music in Canberra Australia on Feb 28th. Here is some footage of a recent Alex Machacek workshop performance in Mexico.